Do you want to know how other CEO’s handle their work/life balance? How about solutions to business problems that have you stumped? CEO Discussion Groups is a peer group of CEO’s, Presidents and business owners who meet 5 times to discuss what’s important to them. Meet Harmony Trujillo of York Building Services. 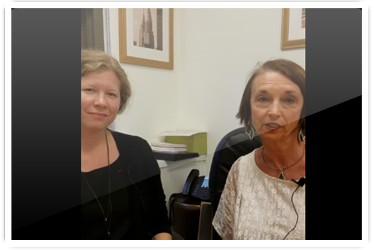 In this 1 minute interview she shares what she would like to talk to other CEOs about: specifically work/life balance and alternative solutions to some of her most challenging business problems. 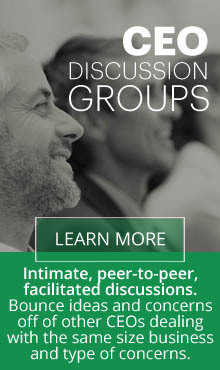 You can learn more at www.CEODiscussionGroup.com. Call Jeri at 212-923-5820. Groups are now forming at various times/places, using phone, face-to-face, and online. We’ll match you up. Sponsor Opportunity: Are you a trusted advisor? Would you like to be a no-cost sponsor of 4 of your CEO clients to help them grow their businesses? They will come away with at least one great idea and 3 new friends. They’ll remember you forever. Jeri Quinn from Driving Improved Results is an executive coach, management consultant, speaker and author who focuses on communication in her work with executives and companies. 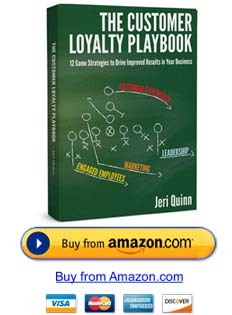 She is the author of The Customer Loyalty Playbook, 12 Game Strategies to Drive Improved Results in Your Business. With more than 40 years as a serial entrepreneur. Quinn has worked with executives and teams in over 40 industries, spoken at major business expos including New York City’s Javits Center, facilitated business development and extraordinary customer service at institutions such as MoMA and AIG, and has partnered with New York City, The Kauffman Foundation, Citibank, Merrill Lynch, HSBC, and Signature Bank to educate their clients.